Product code: 641 Categories: Sold Items, Sold Watches. Cartier have always produced such elegant wrist watches for men and woman alike, and here is a classic Cartier example from the 1980’s. The case is Cartiers very durable gold plated to 20 microns, and the dial is the traditional Cartier dial with Roman numerals. Of course the crown in set with a cabachon sapphire which looks elegant and discreet. A nice feature of this watch is that it is the 17jewelled manual wind movement, as opposed to the more common quartz models. The case measures 230mm x 290mm (measuring the lugs) making it perfect for all occasions. 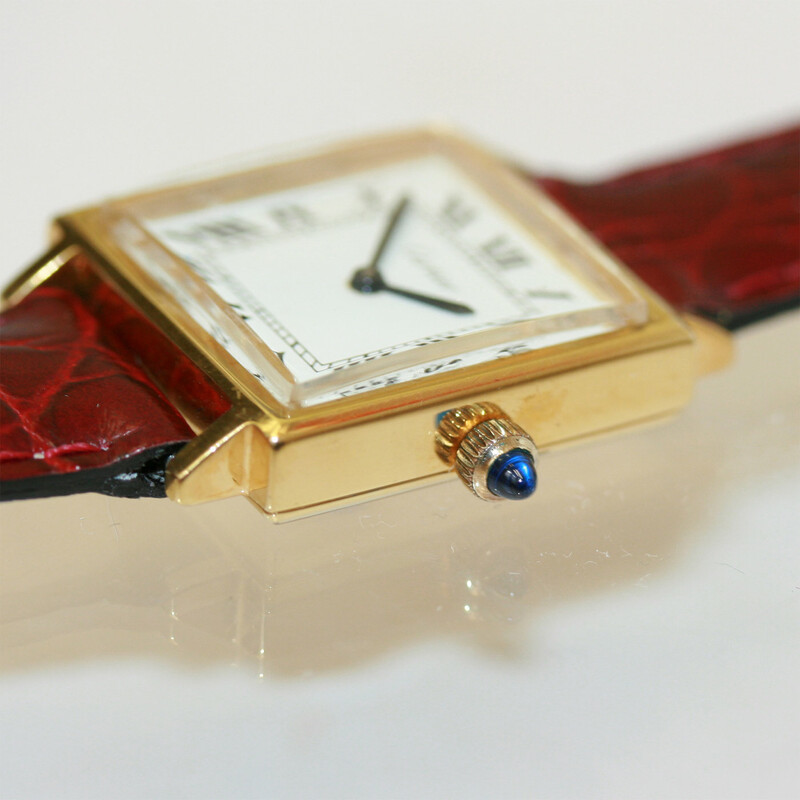 Be quick, as these Cartier models do go very quick!